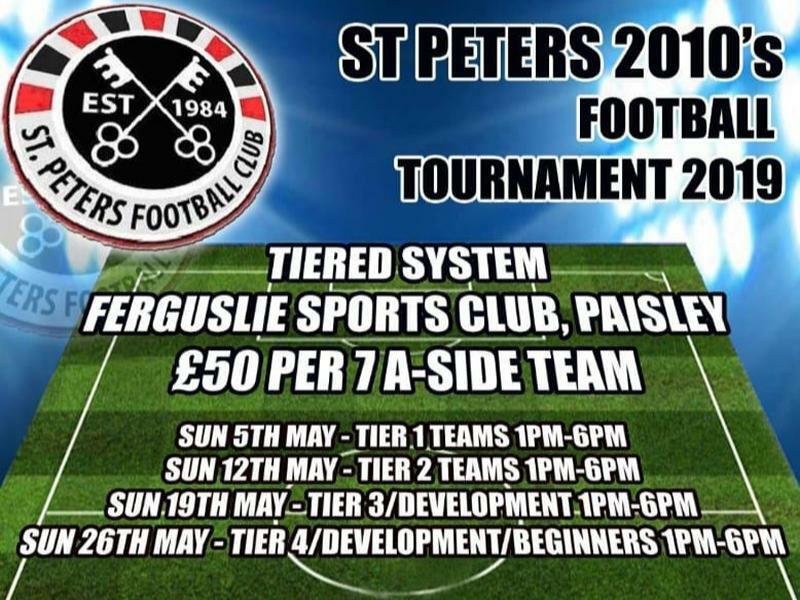 St Peters 2010 Football Tournament 2019 is tiered, we thought that would be a fair system, we have kid’s who have not long started and hoping other team’s are in a similar situation where the kid’s can get to experience playing other team’s. The format will be everyone has five 20 minute games, 7 a-side, on a on/off system. Normal rules apply to 7 a-side. Cost is £50 a team, Medal presentation at the end, and a fair play trophy to the awarded team. While we take every opportunity to ensure the details for St. Peters 2010 Football Tournament are accurate, we always advise that you contact the event organiser before setting out for the event to avoid disapointment.